I LOVED that watch. I can not remember numbers so had all my phone numbers programmed and it felt SO cool to wear it. Unfortunately I hate watches and lost two of them by taking them off and forgetting I had when when I left. Do not like bracelets OR watches. I like the nostalgia aspect of percolators since my parents had one when I was a little kid. But there's no way it makes superior coffee, since it sends already-brewed coffee back through the grounds over and over. 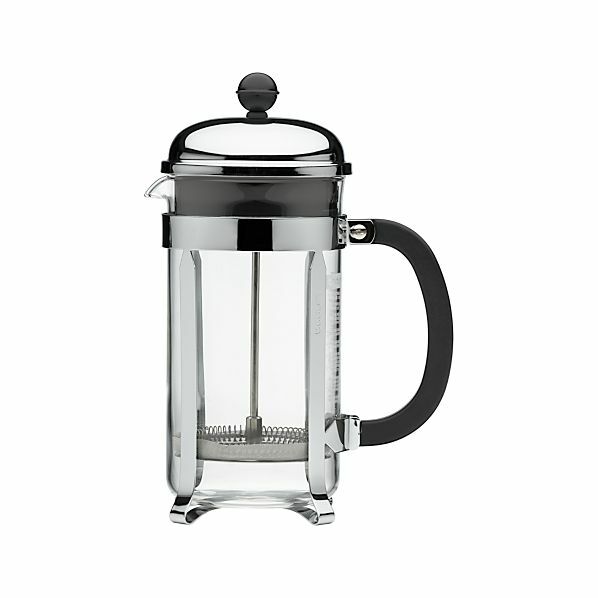 French press makes the best, especially if you know how to use it. However I use drip coffee makers, and the simplest one is the most primitive. 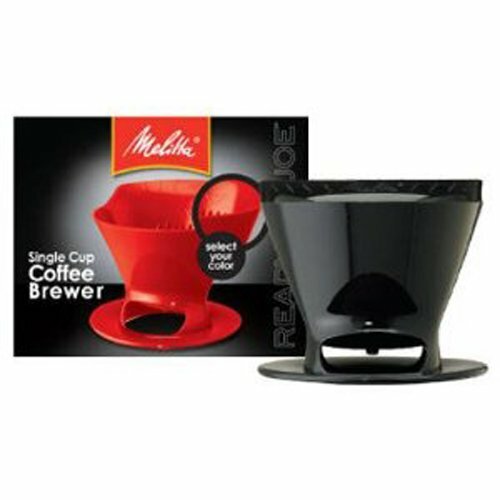 Makes real coffee by the cup and costs only five dollars! What's wrong with landlines? Personally I think there's something nice about having one. I am the same way. Never answer my cell when home or give it out to people I don't personally know. They can leave a message on voice mail . I think the Google glasses will overtake them. For the life of me, I can't see why people are so excited about Google glasses. Like we need even more ways to totally disconnect from the world and be distracted in everything we do. Already studies are pointing out how being constantly connected to technology is rewiring children's brains. Try holding a conversation with anyone under 25 without them constantly interrupting to text or talk to someone on their phone. At some point, something's got to give. It almost makes me want to get off the grid. Last edited by katygirl68; 08-07-2013 at 12:25 AM..
We still use faxes. they are legal copies. Emails are not. I was going to point that out too. The courts in Texas will only accept fax confirmation, hand-delivery, or certified mail, return receipt requested, as proof of proper service. Emails are not acceptable because there is no way to prove they opened their email or even received it. The one that irritates me most is fax machines. Usually it's some old (or young) lady on the phone demanding that I fax something. I haven't owned a fax in nearly 20 years FFS! Ditsy secretary types (also a vanishing breed, god willing) like them because they can punch in a phone number and feed in a sheet of paper. Less challenging than that newfangled email thing! Faxing is FAR from obsolete. 1. Faxes are more reliable than email. Despite the SMTP protocol itself being very robust, spam filters, misconfigured MTAs and user error lead to quite a lot of email simply disappearing into the ether or being deleted without being read. With a fax, you get a confirmation that tells you definitively whether the receiving machine did or did not get the image. 2. Faxes require less hardware than email. If you want a physical copy of something sent by email, you have to have a computer, an internet connection, an email account and a printer to make that happen. You can receive a fax virtually anywhere, without a single piece of technology on your person. Hotels, gas stations, and most other businesses (if you're nice enough) will receive a fax for you. 3. Faxes are more secure than email. As another poster said, email is about as insecure as it gets. I can't believe how many of my customers send me their credit card numbers by email, even after I tell them not to. The SMTP protocol (which is how email software/servers communicate with other email software/servers) is a plain text protocol. Nothing you send by email is encrypted in any way as it crosses the wire, unless you encrypt the body of the email yourself. Both technologies have their place. Email can effectively replace a faxing for many things, but it is not an appropriate replacement in every situation. Vinyl records and wristwatches are awesome. I've used pay phones when I accidentally left my phone at home, or run out of battery. Admittedly only 3 times or so. You might include road atlases here, another thing I use all the time.